Cast adrift on the Indian Ocean, eighteen-year-old Maria is saved by the crew of the steamship Trevessa. She can’t tell them her tragic tale, so the superstitious sailors make up their own stories – and some would sacrifice her to the seas to save themselves from the coming storm. Scottish engineer William McGregor boarded the Trevessa in search of adventure. He finds a crew convinced their ship is cursed, as he fights to protect the mysterious girl and bring her safely to shore. 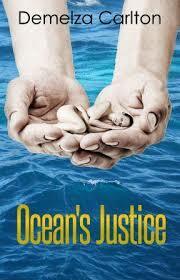 This was a lovely book by Demelza Carlton, the first in the Ocean’s Gift – Turbulence and Triumph series. Written in first person, Ms. Carlton shows a beautiful ability to delve into the heart of the character, and creates a story which both captures the imagination and keeps you reading. Ms. Carlton has created an interesting premise and to say too much here would ruin the secrets the story line holds. Suffice to say, Ms. Carlton has written about the early part of the 20th Century with great insight and brought the era back to life in a well-written and thought out story, which revolves around a young woman, Maria, who is rescued by the crew of the steamship Trevessa, when she is found adrift in the Indian Ocean. We follow Maria’s trials and tribulations on board the Trevessa, where she is treated with suspicion by the crew and with great sympathy and care by Scottish Engineer, William McGregor. A series of events lead to a dramatic and heartbreaking end for Maria and William, but Ms. Carlton leaves the ending open for the second book in the series which I’m excited to start reading immediately.